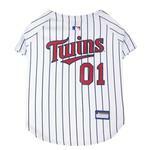 Take your four legged friend out to play some ball in the Minnesota Twins Officially Licensed Dog Jersey! 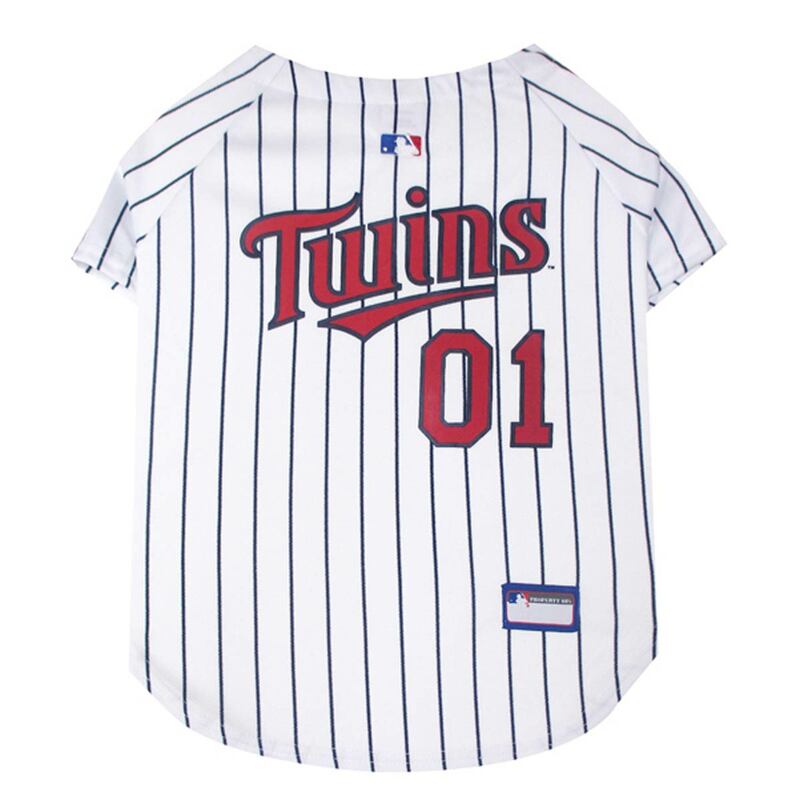 Dogs can look like their favorite team all season long in the Officially Licensed MLB Jersey. Logo on sleeve with faux buttons on front to look like a button up. MLB patch accents jersey. 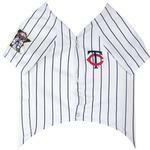 This v-neck jersey is made of a mirco-mesh polyester and touch fastener closure with button trim. Dress your pet in game day gear and support your favorite team!